TRAVEL.org - Louisiana, find hotels in Louisiana, and other travel info. New Orleans Online - Get updates here for reconstruction. Hilton Garden Inn New Orleans Convention Center - is one of the best hotels in New Orleans, LA for quality accommodations. Hyatt Regency New Orleans - Experience a luxurious New Orleans hotel near the Superdome like no other when you stay at Hyatt Regency New Orleans in our newly renovated rooms and suites with top amenities in the heart of the downtown entertainment district. The Ritz-Carlton New Orleans - Experience the city’s Southern hospitality and unforgettable style from the edge of the French Quarter. Featuring a world-class spa, a signature restaurant, impeccable service and exceptional amenities, The Ritz-Carlton, New Orleans offers guests a luxurious retreat in the heart of the city. Monaco New Orleans Hotel - Pet friendly boutique hotel in a 1926 Masonic Temple. Beatifully appointed in four diamond standard. Jazznet Hotels - As "Louisiana's Travel Experts", we specialize in hotel accommodations and tours for New Orleans and all major cities and surrounding areas in Louisiana! The Ritz-Carlton New Orleans Conference Venue - With state-of-the-art New Orleans meetings rooms, impeccable catering and dedicated event professionals, The Ritz-Carlton specializes in creating flawless events. Discover this distinctive New Orleans conference venue. The Wyndham La Belle Maison - is a New Orleans extended stay vacation resort with suites offering mini kitchens, whirlpool tubs and wireless internet. The Shreveport Hilton - is the perfect fusion of southern hospitality and contemporary amenities! Our Shreveport, LA hotel is in the heart of downtown, just blocks from the Riverboats and attached to the Shreveport Convention Center. Inn On Bourbon - New Orleans Hotel set in the heart of Louisiana's historic French Quarter, offersing gracious lodging overlooking vibrant Bourbon Street. The Comfort Suites Monroe - is an all-suites hotel located in Monroe, Louisiana offering comfortable hotel rooms, business friendly features, a swimming pool, free high-speed Internet access, and a convenient central location. The Saint Hotel, Autograph Collection - This one-of-a-kind building originally served as a hotel, later becoming office and retail space. In 2010, The Saint Hotel in New Orleans reopened, becoming the premier boutique hotel on Canal Street. The 166 guest rooms in our eight-story New Orleans Autograph hotel are equipped with 46-inch flat-screen TVs, luxurious amenities, personal work space and Wi-Fi. Chateau Bourbon New Orleans - Located in the heart of New Orleans, Chateau Bourbon, A charming Wyndham Historic Hotel is in the heart of the French Quarter, featuring spacious balcony accommodations, lush courtyards, fine dining, bars, and New Orleans vacation packages. Marriott Baton Rouge Hotel - Among the finest hotels in Baton Rouge, Marriott Baton Rouge offers elegant guest rooms, advanced meeting space and Cajun cuisine just steps from the best shopping & entertainment. Renaissance Baton Rouge Hotel - Luxurious 256 room hotel that will afford guests the Capital City's finest amenities in a unique and intriguingly modern setting. Hilton Garden Inn New Orleans French Quarter/CBD hotel - is a full-service hotel near the French Quarter that offers suites, banquet facilities, swimming pool, free Internet and New Orleans French Quarter vacation packages. Best Western Louisiana Hotels - Close to 50 hotels throughout the state. From Natchitoches to New Orleans, Lake Charles to La Place, Bastrop to Baton Rouge, and just about everywhere in between. Boomtown Hotel Bossier City - Live entertainment, four great restaurants, three levels of non-stop gaming action and comfortable roooms. Boomtown New Orleans - With our great restaurants, non-stop gaming action and comfortable rooms, everything you need for your personal escape is right here. Check out our calendar to find out about our special promotions. Ramada Gulf Coast - Ramada Hotels offer comfortable and contemporary hotel accommodations just minutes from the Gulf Coast. L'Auberge du Lac Resort (Lake Charles) - Offering Luxurious rooms, suites, and villas as well as a spa, and golf course. Jazznet Hotels - As "Louisiana's Travel Experts", we specialize in hotel accommodations and tours for all major cities and surrounding areas in Louisiana! 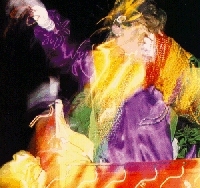 New Orleans Hotels and Accommodations - Discounted rates on Hotel rooms, Car Rentals, Flights, Vacation Rentals. Discountedhotels.com, your complete travel resource.